A solo performance with art jewelry and an exhibition. Two different art forms, art jewelry and dance. Together, the choreographer Eva Ingemarsson and the art jeweler Lena Birgitsdotter have been seeking for an expression of form where dance and art jewelry can meet. In their scenic work, a fixed expression has been growing; an expression deconstructed over and over again, all the time with the strive to meet the body, the dancer, the room and the audience. Lena has been creating a metallic cube that can be rearranged into an infinite number of forms. 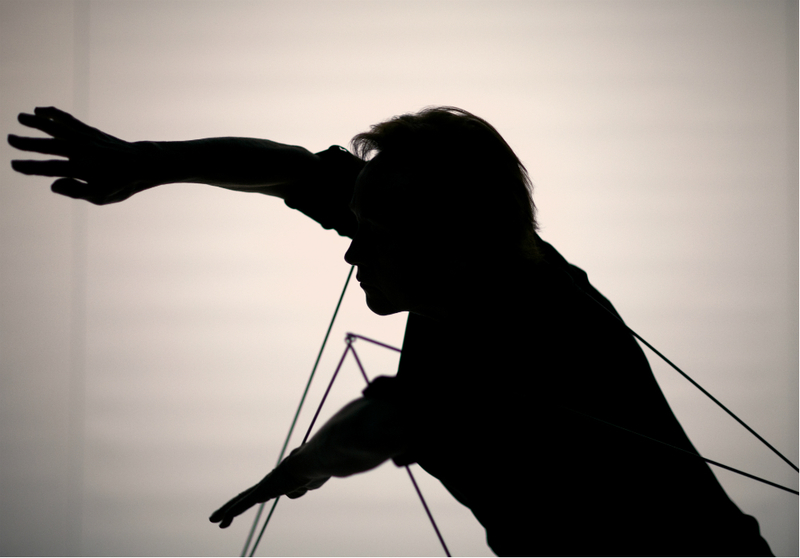 As a dancer and choreographer, Eva has encountered the fixed form of the cube, its lines and geometrical shadow play. White meets black and the cube plays freely in between. In the encounter with the cube, sometimes the dancer becomes a bearer of this gigantic jewelry, and sometimes the jewelry carries the dancer. Sometimes the cube is a kind of vehicle taking the dance to new angles. 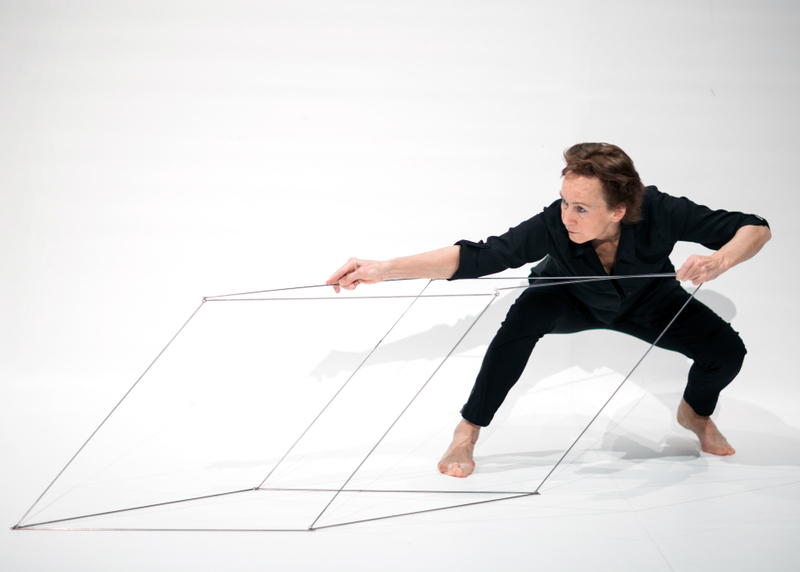 Eva Ingemarsson is the dancer in this piece, a choreography for the form of the body and for the jewelry as a necklace, brooch or a room to enter.